Enhance your vehicle with Cruiser Frames. 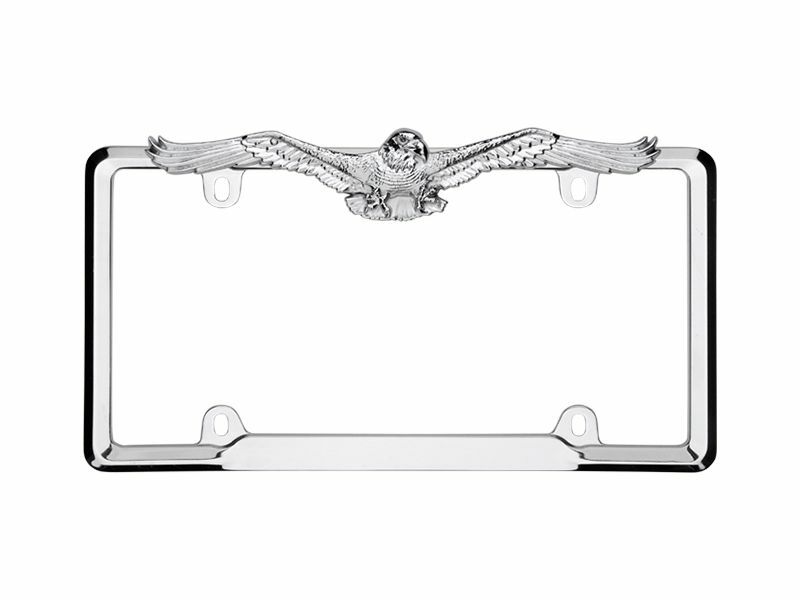 Cruiser license plate frames come in many styles from mild to wild. Dress up your car, pickup truck, sport utility vehicle or minivan with a Cruiser license plate frame that expresses your point of view. They are made of durable die cast zinc, all metal frames feature enduring quality that can be seen and felt. Each license frame is carefully hand polished and then either plated with extra heavy show chrome or double plated polished brass. Check out the palm tree license plate frame as well as the golf club frame for ultimate style. Cruiser Accessories products are warranted to be free of obvious manufacturing defects. Any damage caused in installation or maintenance is not covered by warranty. If you have questions regarding our warranties or if you need to return a product to Cruiser Accessories, please contact us toll free at 1-877-216-5446 for further assistance.